Just want to write? Not a problem, it’s easier than you think! Blogging can sometimes be very complicated to a beginner or nervous writer who isn’t au fait with technology, and just wants to write. There is the irritating process of having to create a blog, especially if you’re not technically minded and the process seems like gobbledegook to you. And then once you’ve managed to get something up, you wipe the perspiration from your brow and stare bewildered at your new blog, wondering whatever you have to do next. Wouldn’t it be nice to just pop onto your computer, enter into your ‘blog’ and start writing? Of course it would, and now you can! Did you know that when I started blogging over 10 years ago, it wasn’t as easy as it is now. In fact it was much more technical, even for Blogger and WordPress. And over the years their creators have tried to simplify it, smoothing down the technical bits and making the process as initiative as possible. In fact, they’ve been through that and are now climbing the steep slope on the other side of the valley, as blogging is starting to become more complicated again. Especially with all this SEO business and whatnot. So a new version was needed, certainly according to Evan Williams and Biz Stone, co-founders of Twitter. Even though Twitter revels in the preciseness of 140 characters, this ‘micro-blogging’ is a bit restricted. Personally I love the confines of having to abbreviate what I want to say within the required space (my mother totally loves it! ), but it doesn’t lend much scope for real blogging. So back in August 2012 Evan and Biz released Medium. Somewhere for writers to just want to write. Without any restrictions, techie-bits and other annoying barriers. All you need to do is to sign up via your Twitter account (just click a few boxes) and you’re away! So you can use it for two purposes, to find something to read, or to just want to write to add your own content into the fray. If you want to know whether there is anything decent to read in Medium, let me say that only quality writers benefit from writing here. It is essentially a vehicle for long-form posts and articles, and it is noted for its great readability and community interaction. It’s also great for beginners to cut their teeth in writing for the web, as it is another step in your learning curve. You need to stop remembering what your English teacher taught you at school, and explore a whole new identity. And Medium is a great place to find out what that is! The ‘home page’ is a timeline of recommended top posts, so you can get hooked in immediately. In fact some writers spend more time reading than they do writing! Such a wonderful wealth of content to absorb, understand and take action. And if you suddenly feel compelled to start writing and you want to write immediately, frankly it is obvious where to click! And you get this wonderful white space to write in. Just like a virgin piece of paper or a brand new exercise book at the beginning of term! There is something really delicious about the freedom presented here. You can do whatever you like (preferably writing, of course). 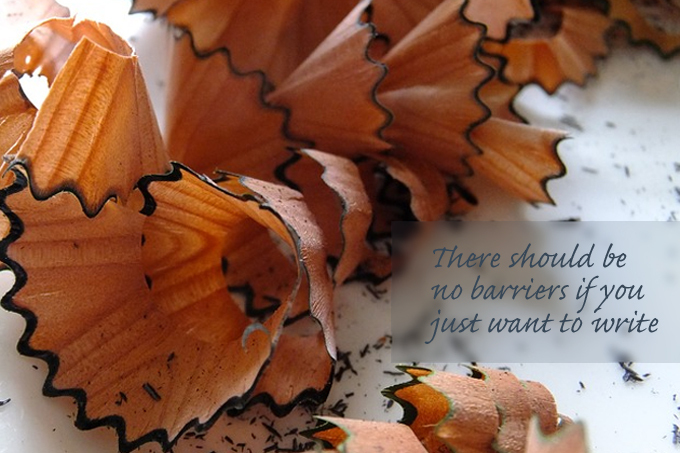 And if you want to get a bit more adventurous, there’s always headers, links, quotes and images to insert. (There will always be technical writers to appease, like me!) It is wonderfully WYSIWYG (what you see is what you get), so there shouldn’t be any nasty surprises around the corner. Well first, there’s nothing to break. All you need to do is enter and write (or read). It’s free. And instant. And non-technical, with no plugins, widgets, themes or that dreaded SEO. It has a huge following (being based on Twitter and you know how huge that is!). The search mechanism will certainly reveal that. Writers take full advantage of the extreme exposure they will get, a much larger reach than on their own blogs. Here is somewhere a real writer who does want to write can get ‘discovered’, especially if they’re canny enough to go viral. There is an excellent commenting system (which many blogs have turned off nowadays), including ‘recommended’ and ‘add to reading list’ buttons your followers can use to extend your reach or availability further. It is an environment to focus on the quality of your writing in order to get noticed and ultimately shared. The downside is that you don’t own your space. Even if you put copyright onto your work, you will have given up the royalty-free access to your content, as anyone will be able to use it without payment. But then since this is just somewhere to write, does this really matter to you? Ideally you should reserve your precious content for your blog. I suggest you sign up and start dabbling. Do some ‘lurking and learning’ to see what others do, to get used to the etiquette and understand what works or not. And then just go ahead and, if you want to write, write. Remember there’s nothing to break. And at worst you might even get noticed – whoa, steady on there!